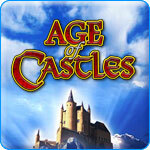 Age Of Castles Game - Download and Play Free Version! 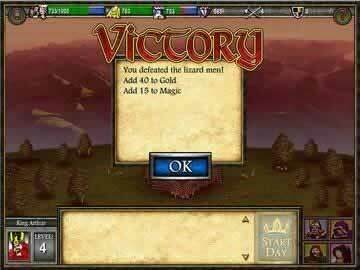 Build a huge castle, a strong army, and a vital economy to overrun the forces of darkness! It is the Age of Castles. In a distant realm, a great evil has swept across the land. Demons from the underworld and their evil minions have poured across the kingdoms of man, until the great cities lay in ruin. There's nothing but a handful of cowering souls remaining. The people are in need of a king, someone of great strength and courage who can rid the land of the evil plague and rebuild the cities. You are that king. You alone must travel to the end of the world, build a mighty castle, slay the undead hordes, and convert the people of the land to loyal subjects of your domain...in the Age of Castles. 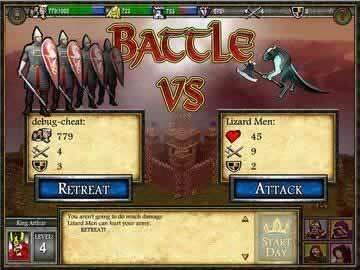 In Age of Castles you will be challenged to find the right balance of army building, recruiting people, castle building, and growing an economy. Too much of one thing may mean disaster and the fall of your kingdom. But you can prevail, the people need you!